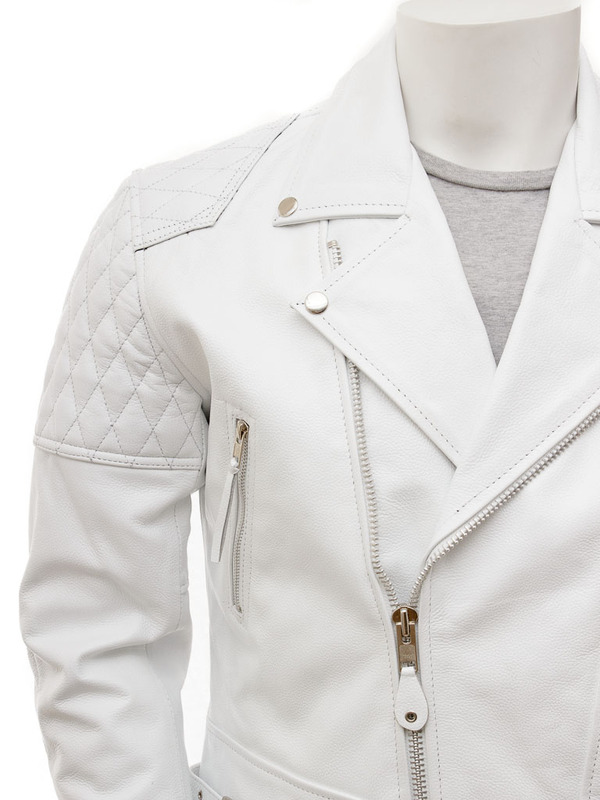 A striking white leather biker jacket. 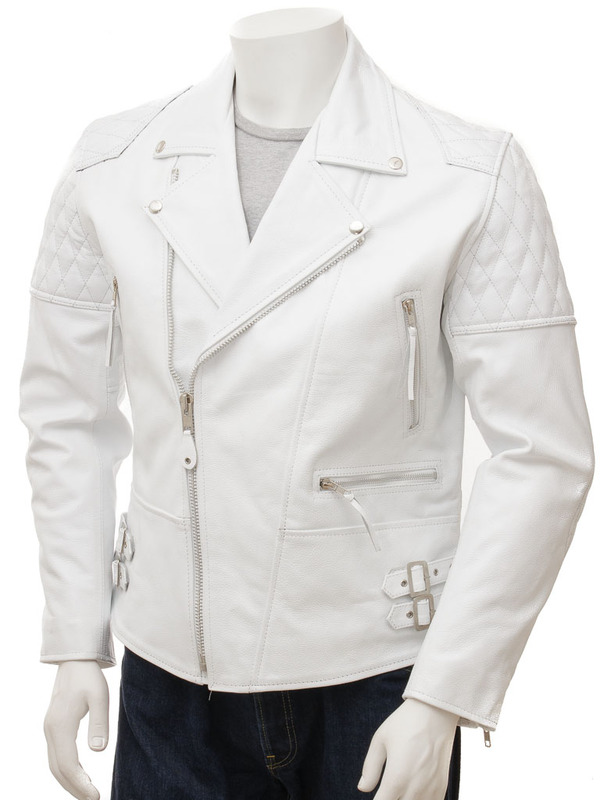 Crafted from a tough and durable cow hide, this jacket pulls no punches. 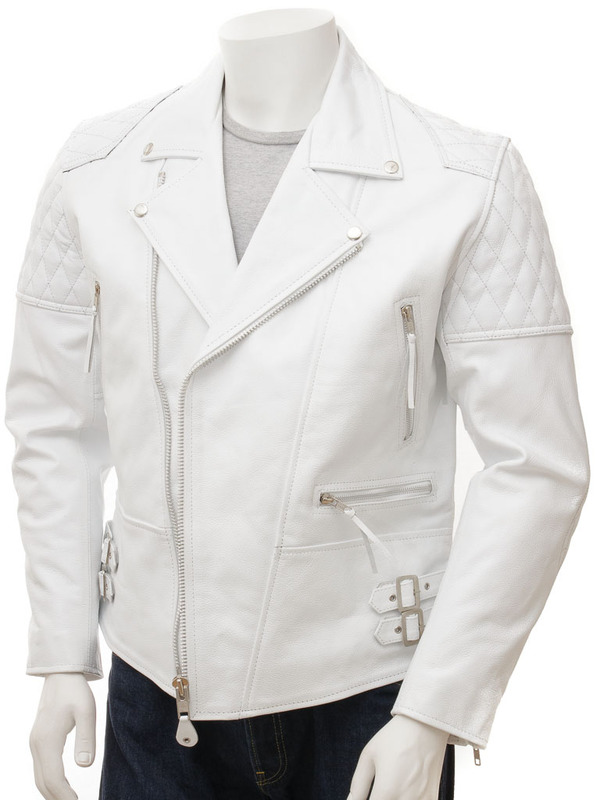 The style is a classic from the 1950's made famous by Marlon Brando in the film The Wild One. 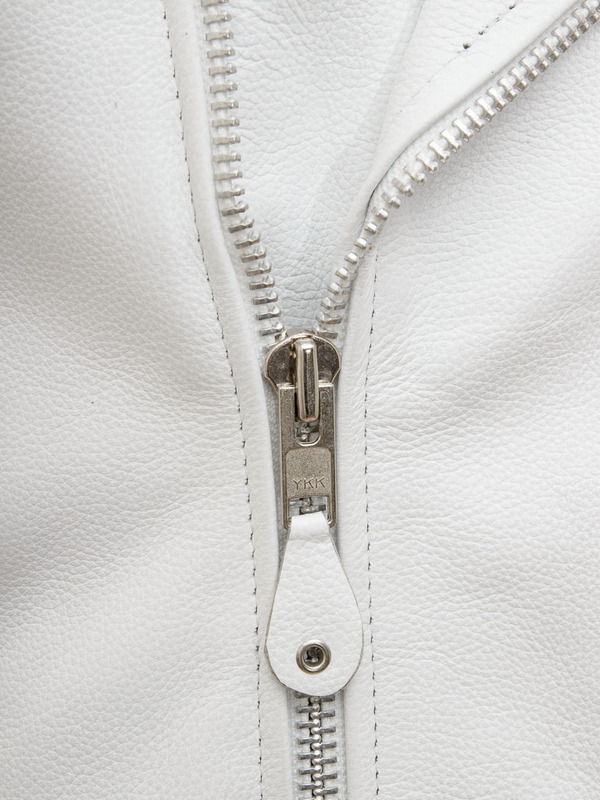 It features a chunky chrome YKK zip front over a double breasted block with wide notched lapels. The tips of the collar are fastened to the body with press studs but the jacket looks just as cool when these are undone, the collar turned up and the zip extended to the throat. There are plenty of pockets, two vertical on the chest with another one set horizontal at the waist. 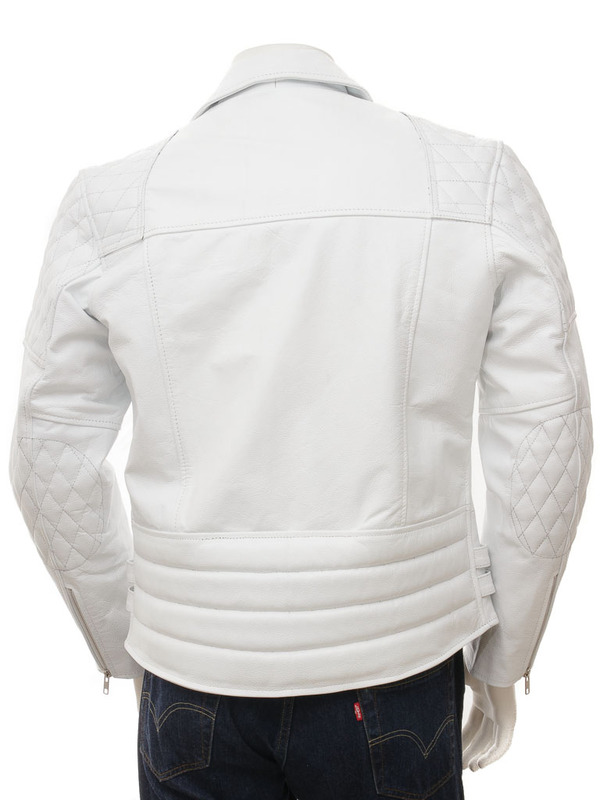 Diamond quilt stitched panels on the shoulder and elbows give extra protection while zipped gauntlet cuffs allow room for a pair of gloves. The body fit can also be adjusted with buckled straps at the side seam. Take a look inside and you will find a quilted satin lining with two more leather trimmed pockets, one of which is zipped.